Facebook user Dan Christopher posted a screenshot while watching the news about celebrity DJ Karen Bordador and her boyfriend Emilio Tan, who were arrested in a buy bust operation. The comment brought outrage from netizens as Christopher’s post amassed 7.6 thousand like/reactions with 1,135 shares while Garcia’s reached 16 likes/reaction and 44 shares as of press time. 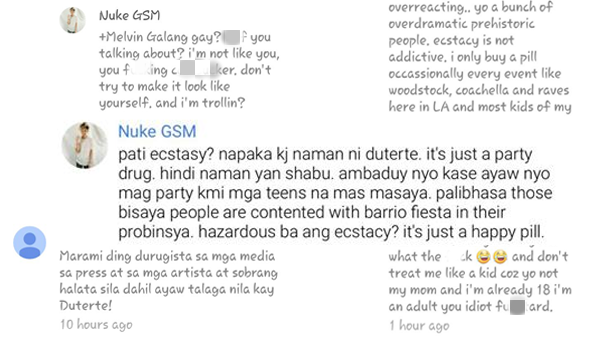 “Nuke GSM” explained that pills like ecstasy were present at music festivals like Coachella and rave parties. 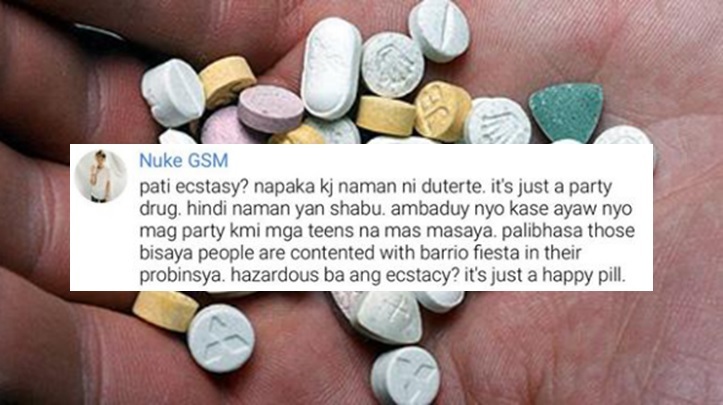 GSM claims that ecstasy death in the Philippines were caused by fake manufactured HP’s. According to the report; ecstasy, marijuana and marijuana oil were confiscated on site. Drug paraphernalia, money, and a money counting machine are also present on site which tells that big drug dealing is occurring. 3million worth of drugs was found on the scene. An ecstasy incident made a nationwide outbreak at the CloseUp Forever Summer Music Festival. The said ‘blue pills’ caused the deaths of 5 individuals.